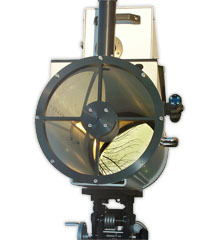 The MIDAC Open Path Air Monitoring System is compact, versatile, and rugged. Designed to detect and measure a wide range of key contaminants simultaneously, it has been used in many different configurations to address a diverse list of applications. The MIDAC systems can provide continuous, unattached, near real-time detection at ppb levels for hundreds of chemicals. Aperture size 1.5", 3", and 10"